In the first half of June, official newspapers in Belarus focused mostly on economic affairs. Belarus-Russian cooperation within the Eurasian Economic Union continues to suffer from protectionism and exemptions in trade and prices, particularly in hydrocarbons. Belarus will establish the Ministry of Antitrust Regulation and Trade to manage the growing liberalisation of the national economy. Belarus presents its armoured vehicle at the international arms exhibition. Belarusian schoolchildren will be offered extracurricular programming courses, introduced to enhance national potential in the IT sector. Organised crime groups become more active as the region experiences instability. This and more in the new edition of State Press Digest. Eurasian Economic Union suffers from protectionism. 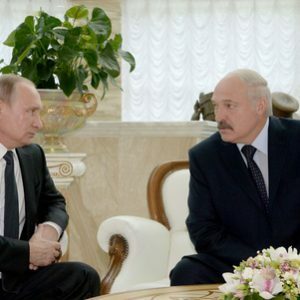 Minsk hosted the Third Forum of Belarusian and Russian Regions under the auspices of Aliaksandr Lukashenka and Vladimir Putin. As Belarus Segodnya noted, despite the social and humanitarian theme of the forum the presidents talked mostly about economic matters. Lukashenka emphasised that the countries need to develop a single industrial policy and remove all barriers in bilateral trade; at the moment the EEU states often employ protectionism as anti-crisis strategy. In response Putin only answered that “Russia is interested in increasing food imports from Belarus”. Russia is reluctant to cut gas price for Belarus. The newspaper Respublika criticises the Russian gas monopoly Gazprom for its persistent reluctance to reduce current gas prices. A previous attempt by Belarus to negotiate the issue with Gazprom at a recent EEU summit failed. Despite the common EEU market, trade within the union involves a number of exemptions. Trade in hydrocarbons remains most sensitive for Belarus, which remains heavily dependent on Russian energy resources. The newspaper claims that in this way Gazprom is trying to raise funds for its major project – a gas pipe to China, as Europe increasingly diversifies its supplies to avoid dependence on Russia. Belarus will establish a Ministry of Antitrust Regulation and Trade. The main reason for this change is liberalisation of economy, according to Minister of Trade Uladzimir Kaltovič, quoted in Zviazda. He specifically mentions the removal of price regulation implemented this January. As free competition on the market increases, the risk of emerging trusts grows. The current governmental body in this area, as well as its policies, lags behind Belarus's partners in the Eurasian Economic Union. The Ministry will be restructured according to new functions, and local trade inspections will be united with antitrust agencies. Moreover, the Ministry plans to update and specify the antitrust law. Switzerland will invest in Belarusian agriculture. Head of Hrodna region Uladzimir Kraŭcoŭ and Head of Embassy Subdivision of the Swiss Confederation in Minsk Pascal Aebischer met to discuss cooperation between the region and Switzerland, Hrodzienskaja Praŭda reports. Swiss investors will allocate $4m to a farm with 12,000 pigs in Ščučyn district and $7m to a dairy farm in Smarhoń district. Pascal Ebischer has been visiting Belarusian regions this year to study their business potential. In an overview of bilateral cooperation, the diplomat mentioned that at the moment around 30 Swiss companies operate in Belarus, and trade turnover reached $3m in 2015. 20 Swiss citizens live in Belarus and a few hundred Belarusians study in Switzerland. Belarus presents its own light-armoured vehicle V-1. Two Belarusian enterprises took part it the international exhibition of arms Eurosatory-2016 with 1,500 defenсe companies from 57 countries participating, writes Belarus Segodnia. For the first time, the Minsk Wheel Tractor Plant publicly presented a model of light-armoured vehicle V-1 (Volat). It is designed for transportation of troops as well as fighting in urban and rural areas and mountainous and impassable territories. The manufacturers took into account the experience of recent local conflicts and anti-terrorist operations, where mines and improvised explosive devices posed particular danger. Therefore, V-1 is heavily mine-protected and has a V-shaped bottom which allows it to dissipate the energy of explosions. Schoolchildren in Belarus will be offered extracurricular programming courses. In the new school year Belarusian schools will introduce Scratch – an object-oriented visual programming language, designed by Massachusetts Institute of Technology to teach children programming and algorithmic thinking. Schoolchildren will have the opportunity to study physics, mathematics, geography, biology, and even literature with the help of Scratch, writes Znamia Yunosti. 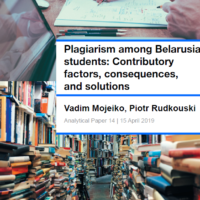 To date, Belarusians are learning the basics of programming later than their European peers, but now the situation is changing. The project will be jointly implemented by the Ministry of Education and High Technologies Park. Six IT companies have already tested it on their employees' children and achieved good results, the newspaper reports. Helpline for children stopped work due to financial reasons. The national helpline for children and teenagers has not been operating for a few months now, Belarus Segodnia reports. In 2011 the international NGO ‘Understanding’ purchased equipment and established a helpline in the National Centre for Mental Health. The line received around 3,660 calls since its installation and succeeded in preventing 8 suicide attempts and dozens of violent acts annually. The line stopped because of lack of funds to pay full-time staff, as the doctors of the Centre had to reply to calls during their working hours. 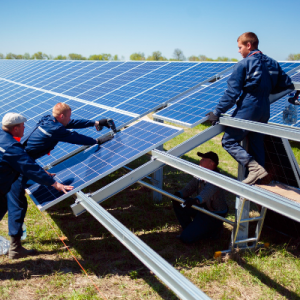 The project needs $30,000 a year and ‘Understanding’ leader Andrej Machańko hopes that soon it will resume its work with the help of private charity donations. Organised criminal groups become more active in environment of regional instability. Chief of the Department of Combating Organised Crime and Corruption of the Interior Ministry, Mikalaj Karpiankoŭ, revealed to Specnaz certain trends of organised crime development in the post-Soviet space and Belarus. Organised criminal groups unite to become transnational, while professional thieves engage in business and some businessmen become closer to criminals. Some wealthy bosses use money and connexions to try to secure protection within the government. What's more, in recent years Russian gangs have become more active in attempts to increase influence on Belarusian criminal affairs. So far Belarus has been famous as a country with a highly repressive approach towards the so-called thieves in law – the higher strata of criminal bosses in the former USSR space.